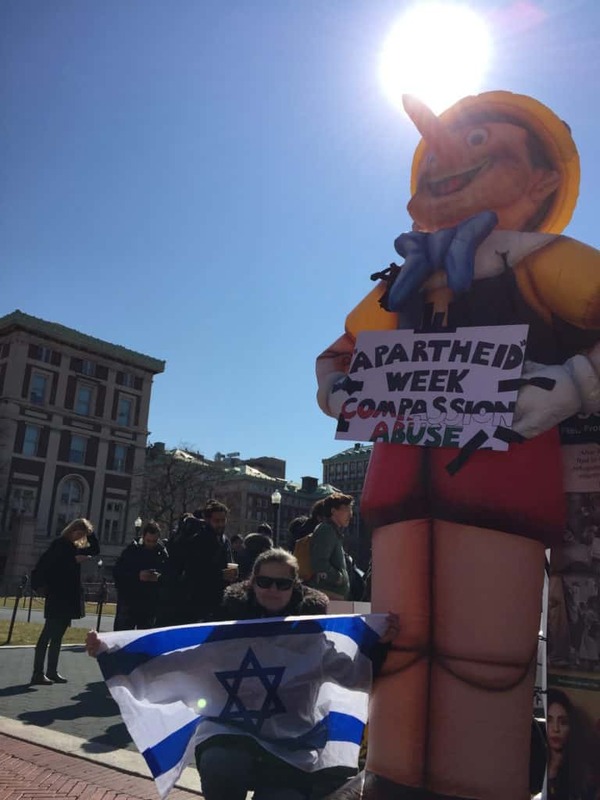 In the ongoing battle on US campuses it seem erecting a 15ft tall inflatable Pinocchio to draw attention to the lies inherent in the concept of “Israel Apartheid Week” isn’t protected free speech. Apparently a beloved childhood cartoon character is “offensive” and caused a number of delicate students to start demanding it be removed so they could return to their hating Israel safe space. Confrontations with truth can be so debilitating for the youth of today it seems. And here’s the giant Pinocchio pointing out the lies. And here is where they put it. Artists4Israel has the full story of what happened. On behalf of both organizations, SSI received approval for hosting an exhibit that included a large structure. That structure was a 15 foot tall inflatable Pinocchio doll. It was placed across from SJP’s incendiary and inflammatory “Apartheid Wall”. The Pinocchio had the intended effect of drawing attention to the A4I & SSI area where students were abe to read information explaining Israel’s diversity, arts culture and attempts at peaceful coexistence with their neighbors even while suffering from terrorism and hate. 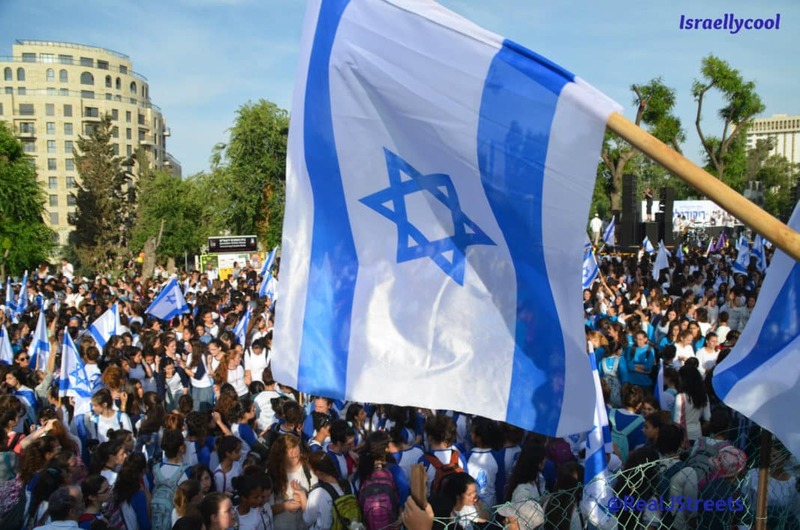 Many other students lined up to take pictures with this childhood icon and hold an Israeli flag expressing their support for Israel’s right to exist in peace and safety. Seeing the overwhelming response to Pinocchio, SJP and JVP began working furiously to have it removed so that their lies could continue uncontested. At first they pulled the SSI students over to say the Pinocchio was offensive, too massive and caused too much student participation. JVP members even made the ridiculous claim that Pinocchio’s large nose was anti-Semitic. When approached by Artists 4 Israel’s Project Manager with his phone recording it, they retreated and returned with the Student Government Chairman and Vice Chairman. These two positions happen to be held by students who are also members of SJP! They now had a new story and said that it had to be taken down before “three big security guards come by and force you to”. Their justifications for this limit on free speech was that the Pinocchio did not fit under the “large structure” approval and that it was unsafe. They feared what would happen if a balloon fell down! The students with Pinocchio, in a sign of good faith, removed Pinocchio and agreed to a meeting at 4pm EST to discuss the issue further and receive “proper” permission to host it the next day. They attempted to bury the students under massive paperwork by requesting a number of extraneous items and information. The student still provided it all and, as of 10:19pm EST is still awaiting a decision. The SJP led Student Government has effectively silenced the Jewish and pro-Israel students for today and tomorrow. Israellycool blogger Alexandra Markus, who is also one of the organizers, said that she was a witness to the above. 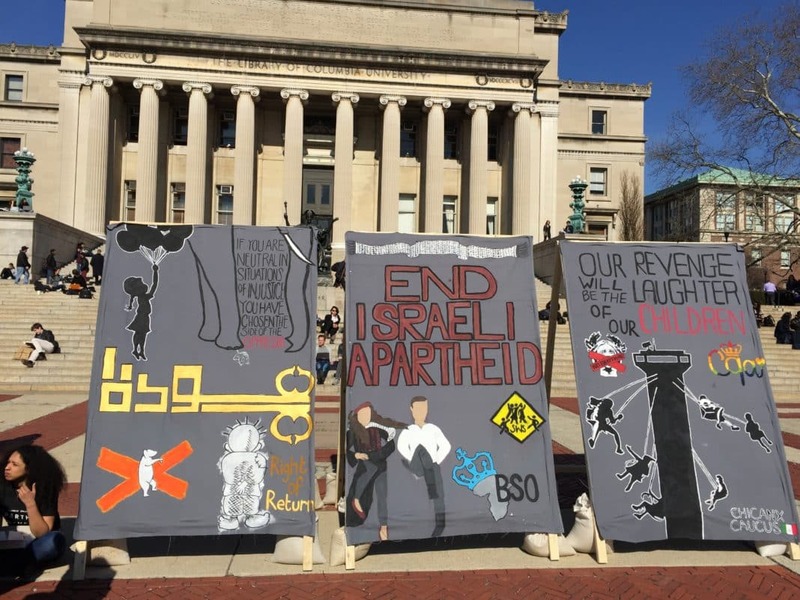 She saw the Student Governing Board Chair, clad in an Apartheid Divest T-Shirt, approach Rudy Rochman, SSI Columbia’s President, and ask him to take down the entire display. due to it being larger than the Apartheid Wall, in the spirit of “fairness.” When he produced the requisite documentation, they had no choice but to let him leave up the exhibit, but they insisted on Pinocchio’s removal.